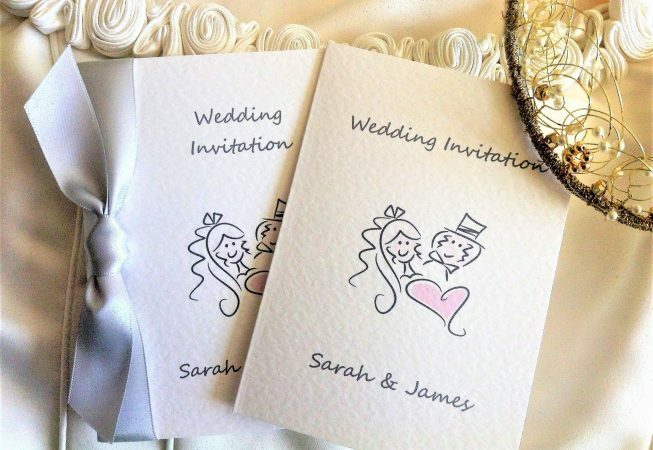 Our Bride and Groom Centre Fold Wedding Invitations are fully personalised wedding invitations supplied on a thick heavy weight 270 gsm hammered card and available in either white or ivory. 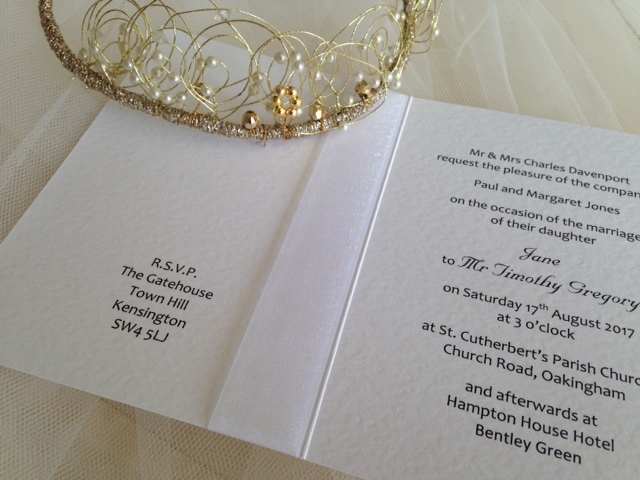 This wedding invitation design is part of our Bride and Groom Wedding Stationery Range. 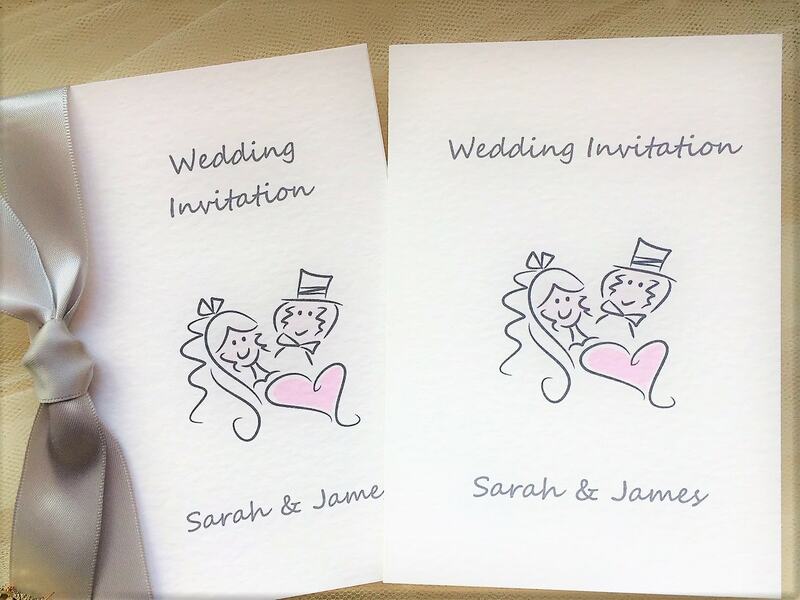 All our wedding invitations are supplied with a matching hammered envelope and we can print your guests names free of charge. 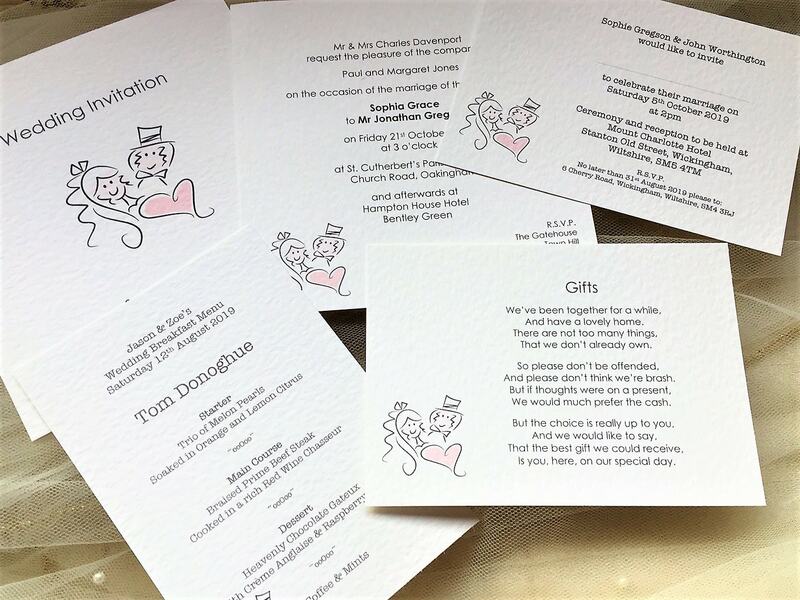 Contemporary cartoon bride and groom wedding invitations are a fun twist on traditional formal wedding invitations and offer a whimsical style because getting married is supposed to be fun! 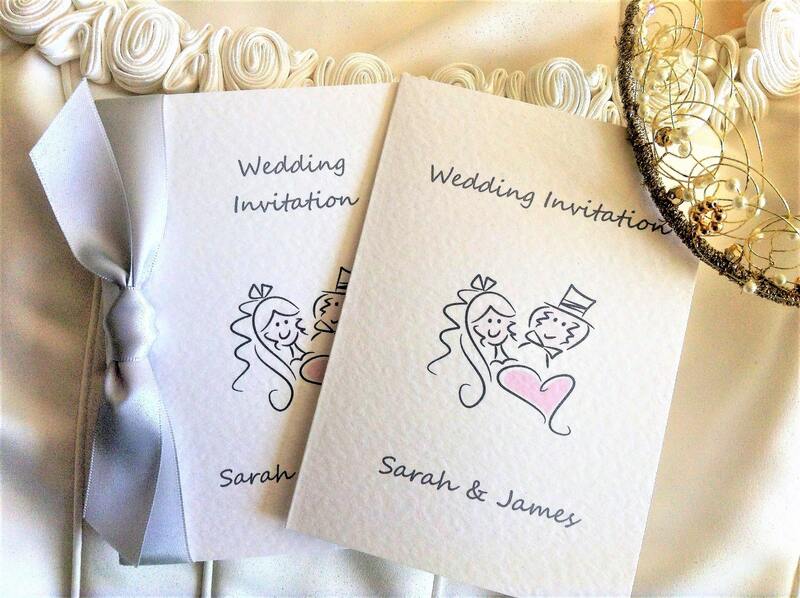 Perfect for the couple who want to convey a relaxed informal style to their wedding day.